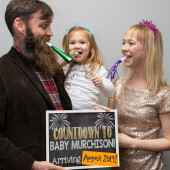 We are expecting Baby Boy Murchison on August 1 or somewhere around there! Here are some of the things he needs or that we want to get him specifically - we do have a lot of baby items already and lucky for us, most of them work for boys too! Thanks so much for your love & support!